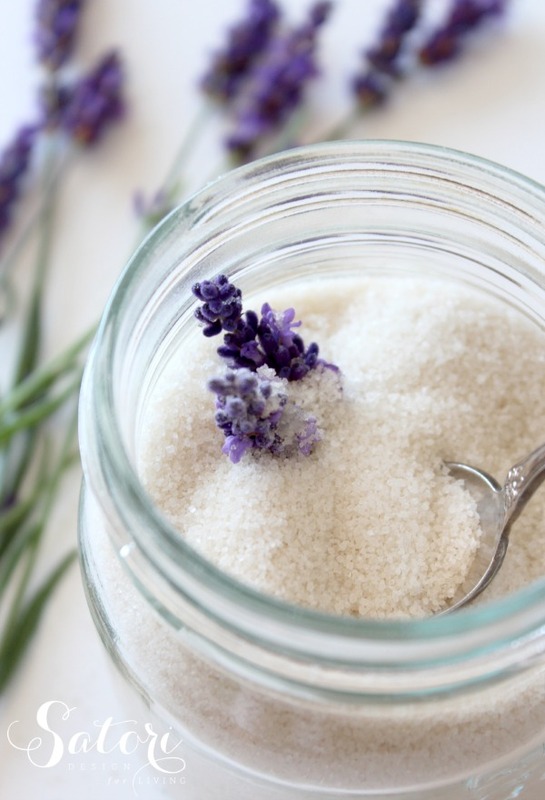 Lavender infused sugar adds flavour to iced tea, fruit, desserts and more. So easy to put together! I started with one tiny lavender plant years ago that has spread into a tiny garden of sorts. Nothing like the beautiful fields of Provence, but my own little pièce de résistance. Until last year, I had only enjoyed the heavenly aroma and beautiful colour of these tiny blossoms. Then, I baked lavender shortbread cookies for the first time and, my goodness, they were so good. I was definitely on to something! This summer, I decided to branch out and try a few more lavender recipes. Desserts caught my attention right away, of course! But, before I could get started with any of those recipes, I needed to get my lavender sugar started so the flavour had time to infuse. Lavender sugar is a simple as it gets. Simply cut stems of lavender from the plant (check the variety to make sure it’s edible- usually English lavender), wash them and allow the excess moisture to dry on a paper towel. If you’re impatient like me, put them in a sunny window or on your front porch to speed up the process. 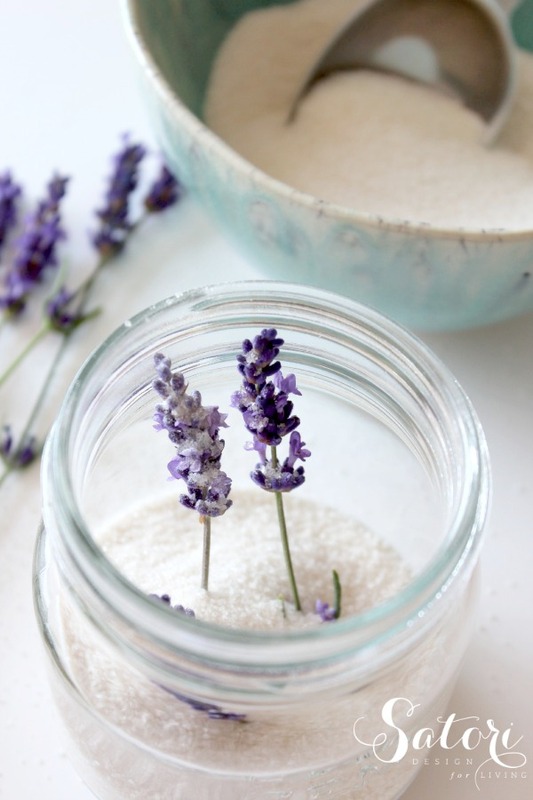 Dump a little sugar into the bottom of a jar and place a few sprigs of lavender inside. Keep adding sugar until the jar is almost to the top. 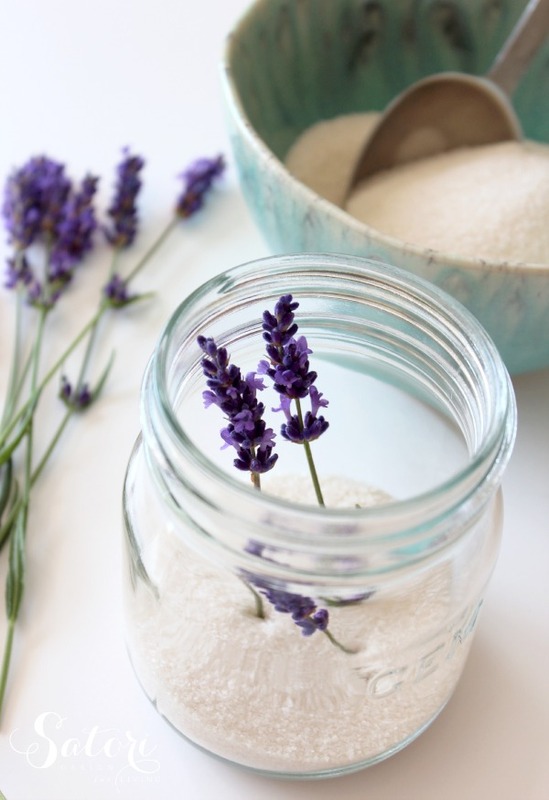 A rule of thumb is 1 tablespoon of fresh lavender (on or off the stem) to 1 cup of sugar. 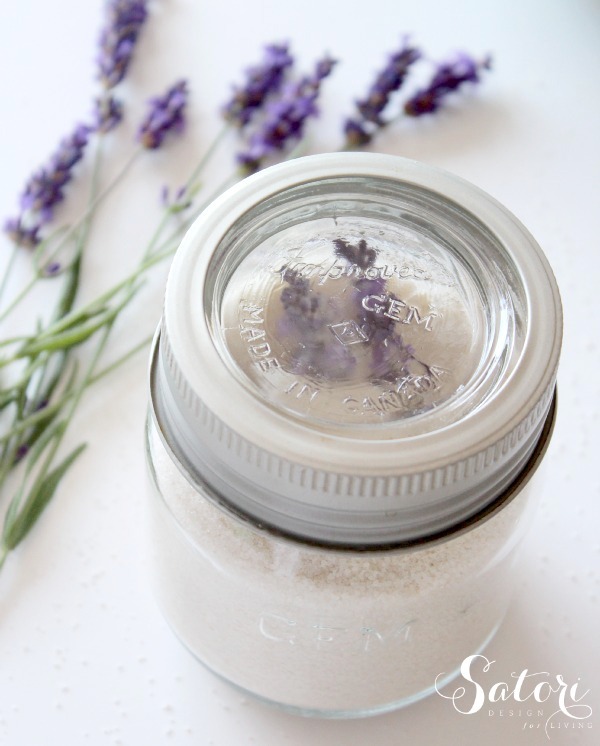 I used a Canadian gem jar that’s a bit smaller, so add a bit more lavender if you’re using a larger mason jar. I tend to use organic evaporated cane juice for sugar around here (may or may not be healthier), but you can use plain white sugar too. Keep the airtight jar stored in your cupboard or pantry for a couple of days before using it. If you only have access to dried lavender, that will work too. The important thing is to make sure it’s still aromatic or the flavour won’t be there. 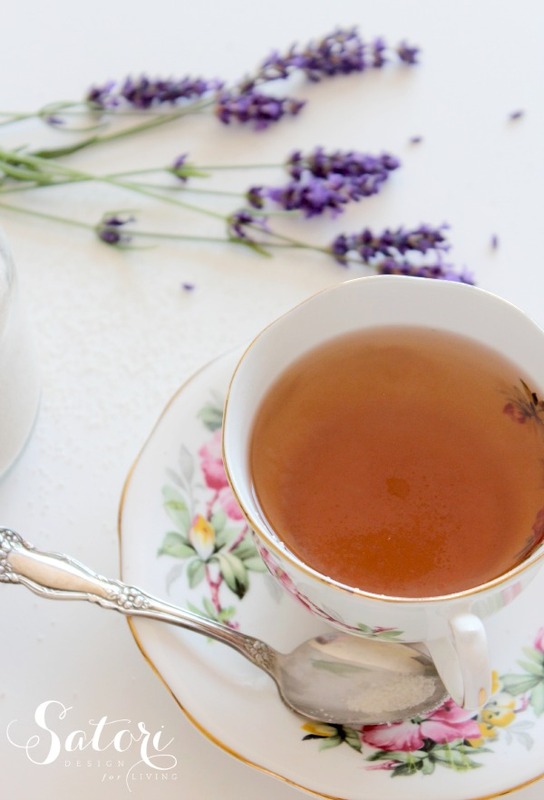 A couple of teaspoons of culinary lavender in a jar is all it will take (or 1 teaspoon to 1 cup of sugar). 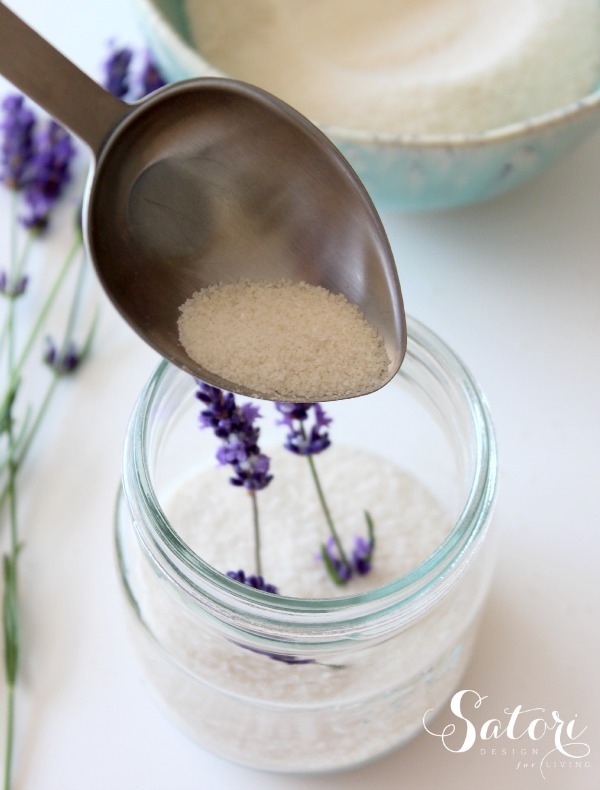 Want to try making your own lavender infused sugar? Pin it for later. Tried any recipes with lavender? Good in your books or will you let this one pass? 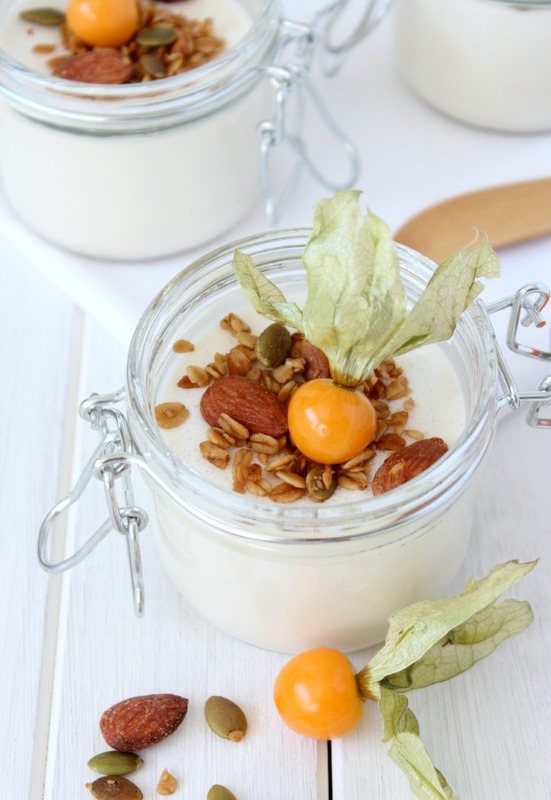 You may also want to check out this yogurt panna cotta recipe made with lavender maple syrup. So delish! 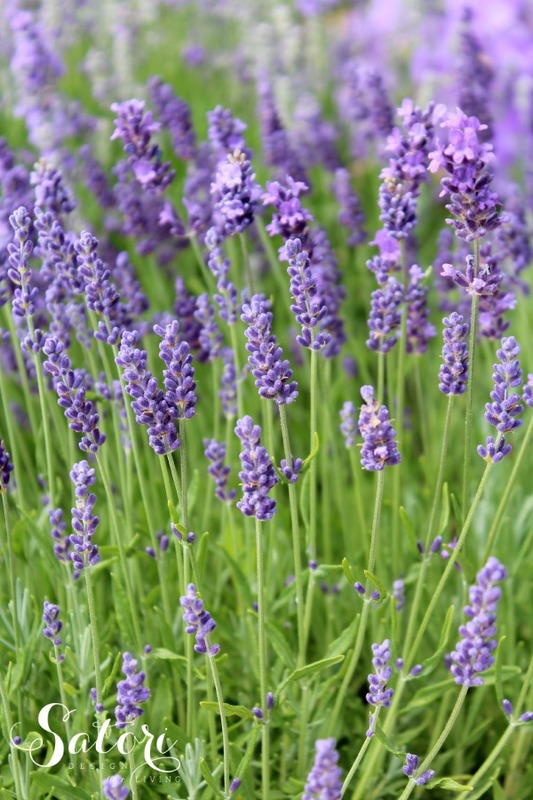 I love lavender… we have always grown it and I have dried it for years. I have not tried the sugar yet… so, I am excited to give it a go!! The best desert I ever had using lavender was a decadent lavender infused creme brûlée… It was heavenly!! BTW… Your photos are beautiful Shauna! My favorite scent, for sure! That dessert sounds amazing. Love creme brûlée! Isn’t it just lovely? Can’t get enough of that scent! I love lavender the smell is so peaceful. Love Lavender, what a great idea. Just pinned it!